Dèjá vu. I’m still working on the Sunset Fibers Polwarth in Pink Elephant. Today I spun up half the second braid; only two ounces to go. 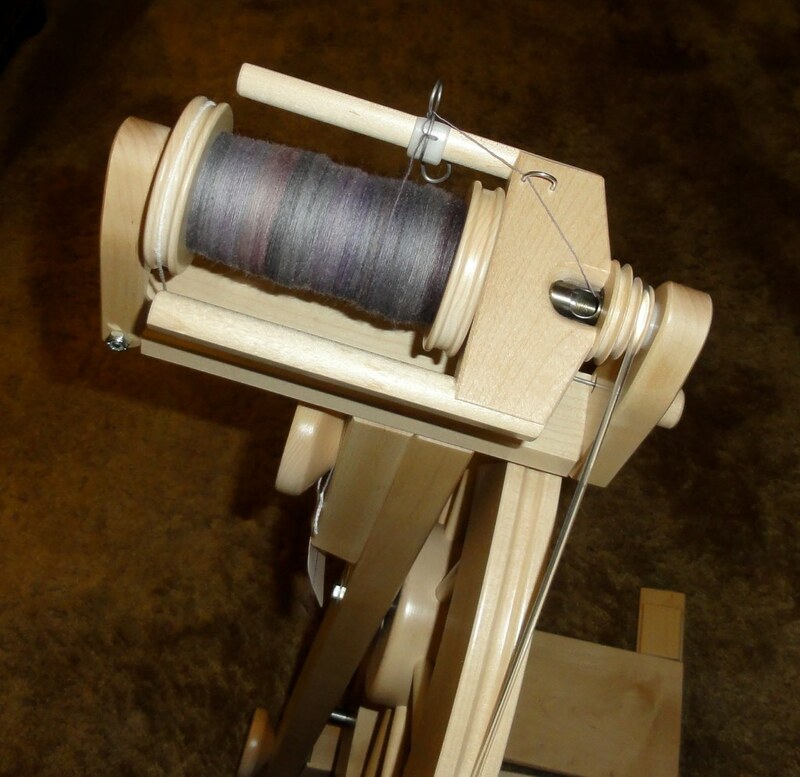 This entry was posted in Spinning and tagged hand spinning, Polwarth, Sunset Fibers, Tour de Fleece. Bookmark the permalink. Really does look like elephant gray. Are you familiar with the song, Pink Elephant? The one from the Disney film *Dumbo*? No. Band called Cherry Poppin Daddies (bad name I know, but good song). I remember the band (I taught high school in the 90s) but don’t know the song. I’ll have to Google it and see if it sparks a memory.